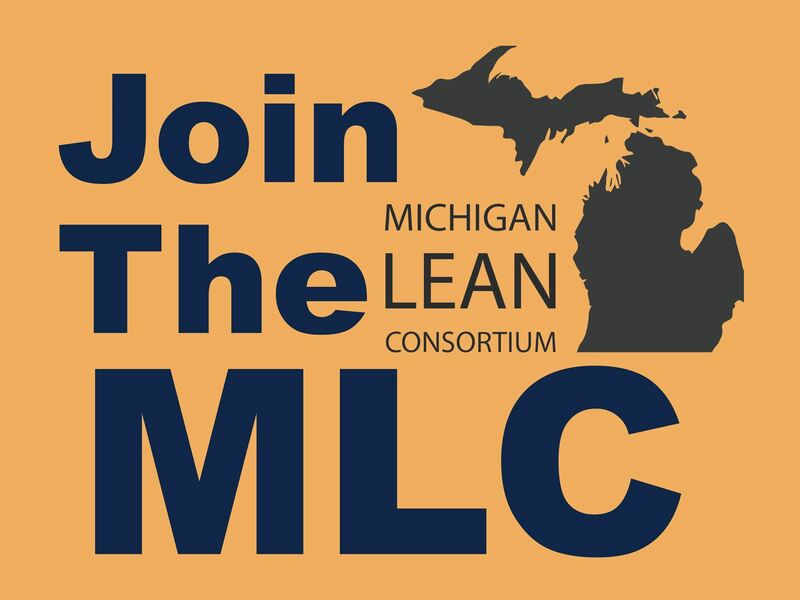 The Michigan Lean Consortium (MLC) is committed to transform Michigan's organizations and economy by developing and supporting lean systems thinkers. The MLC believes in Respecting People, the Inclusion of All Learners at any level and with any experience, and the importance of Teaching and Learning as an experience and a tool for growth. The MLC offers members a discount to registering to All MLC Events! Joining the MLC will connect you with the current network of more than 1,100 Members! Gain access to useful Lean Training material and MLC Website resources, as well as gain valuable Leadership Development skills and Continuous Learning opportunities. Listen to the podcast The Leaning Edge, hosted by Debra Levantrosser as she speaks with leaders, implementers, and believers in the lean philosophy to share their successes and struggles in hopes that they will help others in their Lean journey. Lean is a dynamic process of continuous improvement and learning by empowered associates, in a culture of mutual trust and respect, focused on eliminating waste and maximizing value for our customers. Meet the 2018-2019 Board Of Directors. Subscribe to our monthly Newsletter! 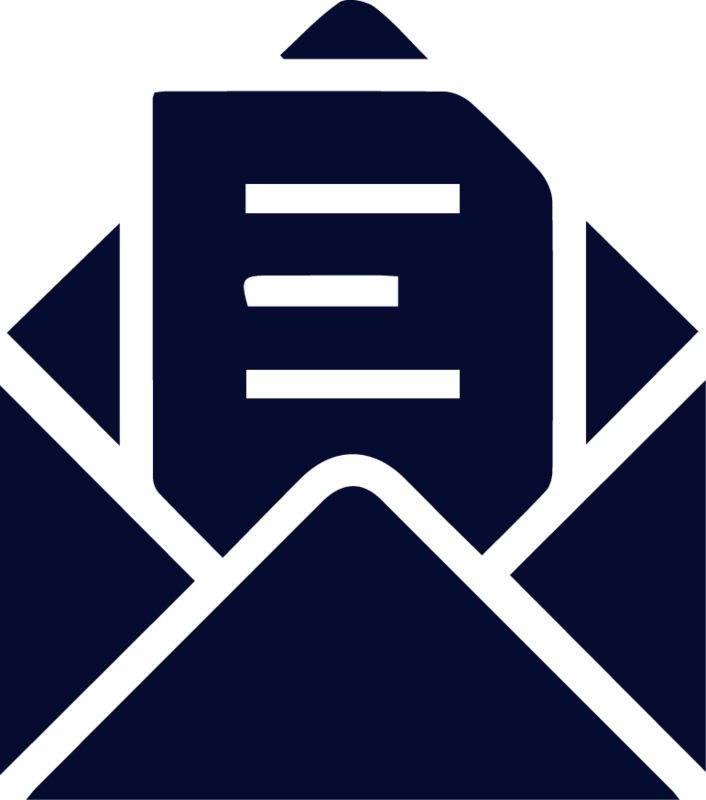 View our Newsletter Archive. During this workshop, you will learn how lean principles of waste and flow transfer to the office. You will understand the behaviors and practices to build a lean culture. Also, learn how to organize for a Lean Office initiative. There will be an introduction to value stream mapping and you will learn the elements of sustaining a lean culture in the office. 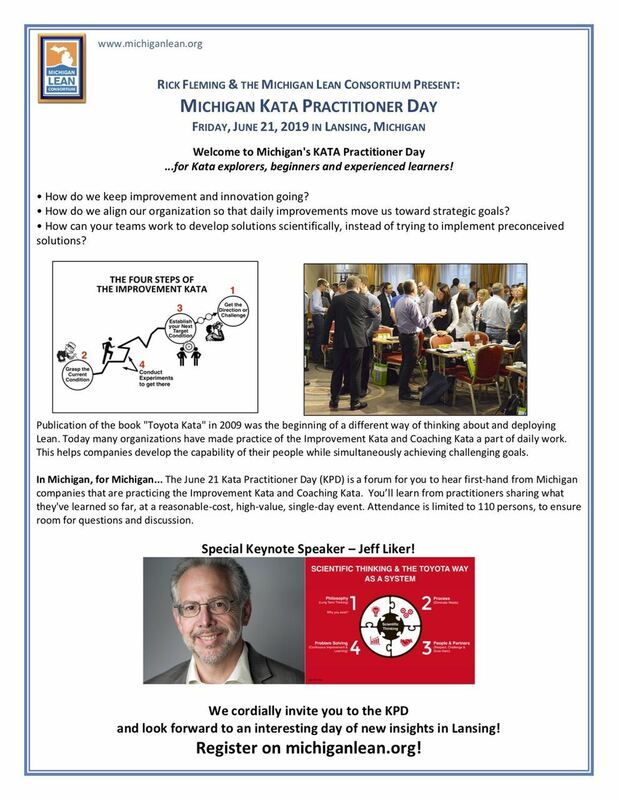 The June 21 Kata Practitioner Day (KPD) is a forum for you to hear first-hand from Michigan companies that are practicing the Improvement Kata and Coaching Kata. You’ll learn from practitioners sharing what they've learned so far, at a reasonable-cost, high-value, single-day event. Attendance is limited to 110 persons, to ensure room for questions and discussion.